This sticky frog is filled with little beads that make for a delightful squish. Outside of frog is very sticky. Approximate size is 6.5cm (2.5") in height. Letters and Numbers for Me is for kindergarten students or older students working at that level. 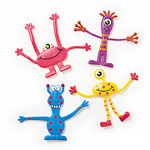 These happy Bendable Monsters are far from scary! Perfect fidget toys for quiet use. Great resistive toys for developing hand skills, enhancing attention, and relieving stress! A wacky buddy to help get you through your day! Probably the only centipede you’ll ever really want to handle! 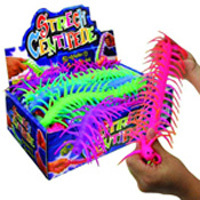 The Stretchy Centipede is a great fidget toy and an awesome stress reliever. Much more attractive and a whole lot stretchier than the real thing this colourful bug is a pleasure to pick up! 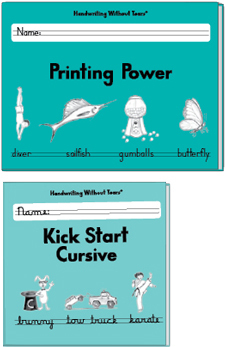 Printing Power Plus is the workbook set for second grade students or those working at that level. 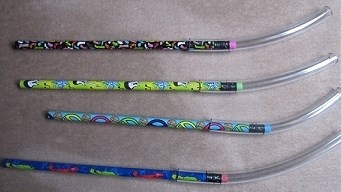 It includes Printing Power and Kick Start Cursive.